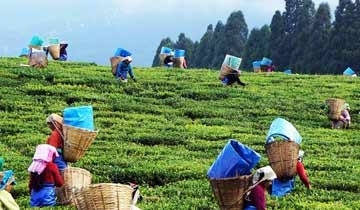 One of world’s leading tea exporters, Darjeeling in West Bengal along with its colonial charm allure a thousand tourists. The city is fondly called The Queen of Hills, and it deserves the title which becomes apparent just from a glimpse. 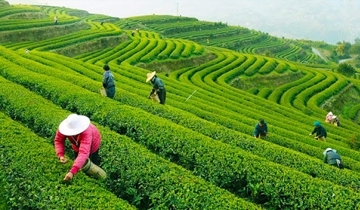 While the local ladies pluck the tea leaves and flick it to their baskets, the Darjeeling Himalayan Railway (UNESCO World Heritage Site) coos and meanders through. View of the largest peak of the world and India (Mount Everest and Kanchenjunga Peak respectively) can be enjoyed from Darjeeling on a clear day in the month of July when the weather is pleasant. 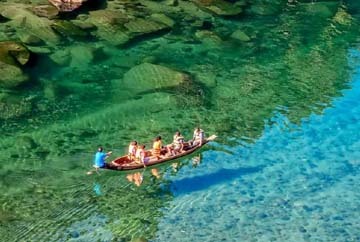 The Abode of Clouds, Meghalaya is truly magical in monsoon. July arrives in the north- eastern state with fresh weather. Rains have lent lush appearance as far as the eye can see. Waterfalls are in their full might. The two rainiest cities on the planet, Mawsynram and Cherrapunji are much more attractive. There are many mystical caves to explore. Every village, every city is covered in a fresh green blanket. Adventures and scenic beauty are available every nook and corner. Pack your bags and embark on a vacation. Probably the most popular hill-station of South India, Munnar in Kerala is generously sprinkled with greenery. Formerly this served as a summer resort for the British rulers and still has its expansive tea gardens, meandering lanes and all the facilities required for a perfect holiday. Once in 12 years, the hills of vicinity get painted blue because of the blooming of exotic Neelakurinji. Being an unspoiled nature’s paradise, this hill-station is home to sprawling wildlife as well. Visit Munnar with your loved ones in the month of July. Visit to Andaman in July is replete with an amazing tropical weather and occasional rainfall. It is thus an ideal month to explore this Indian archipelago in the Bay of Bengal. For adventurous souls, there are various water sports activities such a glass boat ride, jet ski ride, snorkeling, scuba diving etc. In fact, the best diving centres in Andaman feel the time is quite nice for diving. Since Elephant Beach is not accessible by boat, you can hire a local guide for trekking to Elephant beach. 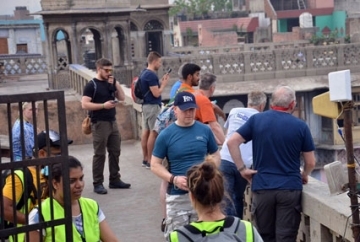 One can also enjoy sightseeing including Cellular Jail, Chatham saw mill Baratang Island, Red Skin Island in Mahatma Gandhi Marine National Park and Anthropological museum. Rajasthan appears absolutely stunning in monsoon. Peacocks dance to the music of the rain and the fragrance of the wet land rejuvenates the senses. Spectacular monuments look fascinating drenched in the rain and lakes in Rajasthan get a new life. 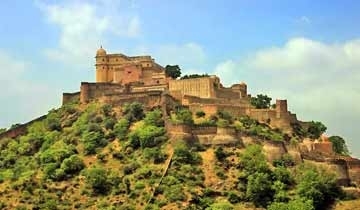 Monsoon Palace, the pride of Rajasthan showcases its glittering royal past like no other. Delight in memorable boat rides far away from the crowd. Go for exploring Bundi or bird watching at Keoladeo National Park. No matter what you do, you’ll be back here again often in July. 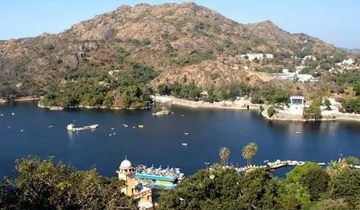 The only hill station in the desert state of Rajasthan, Mount Abu in July is pristine and peaceful. Occasional rains increase the beauty of this place, manifolds. Explore the hill town on your own and admire the wonderful weather. As you take a walk, let the cool air brush past your face. Boating in Nakki Lake would be nice. An excursion to Dilwara Jain Temples must not be missed. Wildlife lovers can also head towards Mount Abu Wildlife Sanctuary. For adventurous souls, there are activities like rock climbing, trekking, and so on. 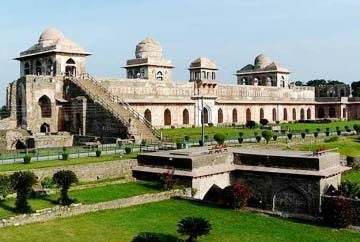 Romance is most the conspicuous and essential element in Udaipur as its stunning history and myriad of legends, tales and folklore describe this incredible land of Kings and their royalty in its unique dimensions. The mesmerizing mesh of fantastical palaces, havelis, temples, narrow and colorful streets as well as houses and markets brings you within the realm of another India. The month of July brings in the usual, though not always, relief from the burning heat. The city starts coming to life and activity picks up with tourism and trade. This is a great time to experience the magic of Udaipur with sightseeing and exploration, lazy boat rides and exciting shopping sessions. Located in Jammu and Kashmir, Amarnath houses the holy cave of Amarnath, the divine abode of Lord Shiva. 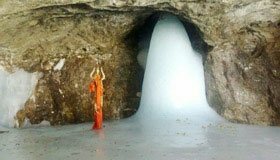 The month of July brings the most important reason to visit Amarnath. The start of July is the time when you can trek to the holy site. The pilgrimage to the ice lingam housed in the cave is allowed in the month of Shravan, which falls in the months of July or August. The treacherous trek to the cave can be attempted in these months. 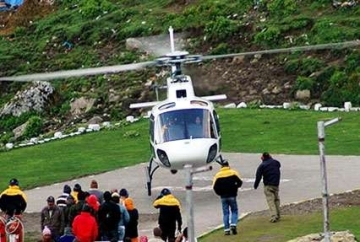 Plan your trip to Amarnath as July is just around the corner. 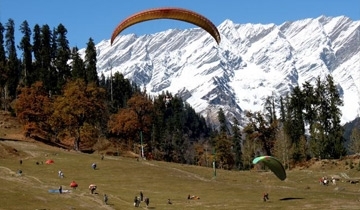 Manali the popular hill-station of India is often flocked by tourists. 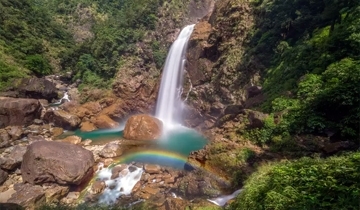 There are a number of activities you can try your hands in here, such as river rafting, trekking, skiing, nature walk, zorbing, shopping and what not. Whether summers or winters, this place is a visitable all around the year. When the snow gets carpeted there people gather to enjoy. 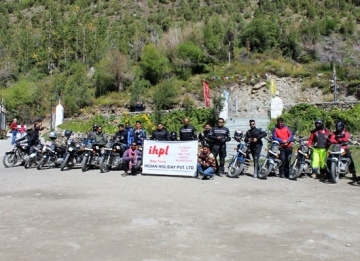 Take a drive to Rohtang Pass, Solang Valley or Leh and experience the best journey of your life. The weather during July is pleasant. 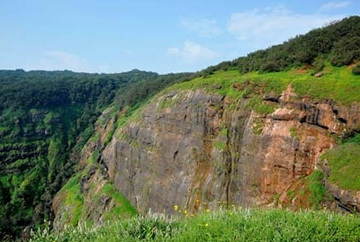 Indulge yourself in this green garnet of Maharashtra’s Raigad district. This is indeed the smallest hill station of India blessed with lush greenery and is guarded against the motor activities of the modern world which harms our planet. Main modes of transportation in this hill station are rikshaw and horse-backs, which are fun to experience. 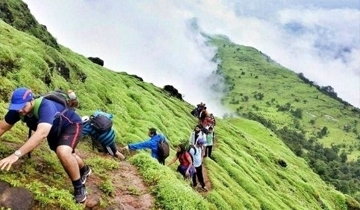 Heal your heart and soul from the monotony of life as you amble around Matheran and your eyeballs hails god for the majestic view of the hills. 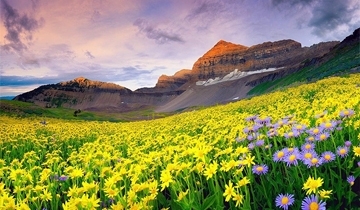 The popular hill-station of Maharashtra, Lonavla is a super hit weekend getaway from Mumbai. Though this is just few hours away from the ever-bustling city of Mumbai and Pune, but it feels world apart. Miles of green hillocks wreathed in mist and echoes of birds and animals. 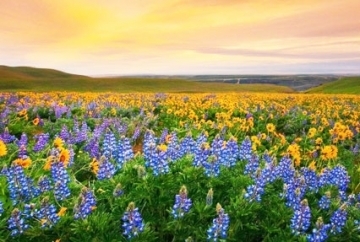 The beautiful landscape is capable of making your holiday moments worth cherishing. Come dive into this pool of Indian ethnicity with splashes from France too. 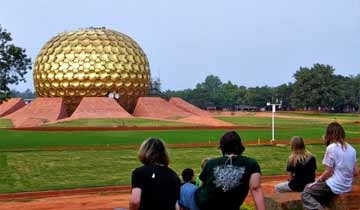 Pondicherry is the largest French colony of India with amazing French style architecture and French culture which is of high influence in the vicinity. The older and eastern part of this union territory is more French and many people still talk in French language but the South Indian culture is embraced equally. The waves of the ocean rumble and the breeze around it soothes the soul. July means winter in Australia and one of the best seasons to plan your trip. The southern Hemisphere is enjoying winter. 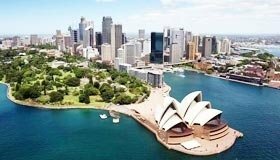 The cities and small towns pleasant to explore, offering glorious sights and activities, yet it is the Australian Outback and the Great Barrier Reef which wins the crowd. The season is perfect for snorkeling, scuba diving, sailing, surfing, whale watching and other activities. The month is busy with amazing celebrations and festivals marked on the calendar. If you wish to avail cheaper deals on hotel bookings, this time is perfect. Visit Australia and have the time of your life. Beach vacations in July are possible when you are in Seychelles. This Indian Ocean island nation is blessed with sweeping white beaches, clear blue waters, diverse wildlife, and a vibrant culture. 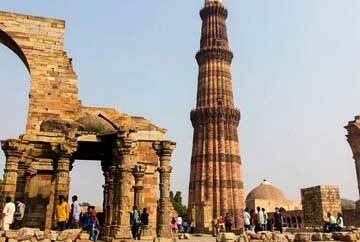 It is one of the most sought-after holiday spots in the world and VIP destination for honeymoon. The rare aldabra giant tortoises and magpie robins are thrilling to spot. One can explore the World Heritage Site Vallee de Mai Nature Reserve. Seychelles never looked better, particularly in July when the country basks in blissful tropical weather. Gastronomy, water sports and luxury accommodation add to the cherished memories of your holiday. 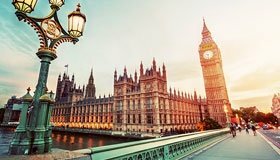 July is the perfect month to plan a visit to the United Kingdom. The country is enjoying the bliss of summer. Visitors have the pleasure of amazing sightseeing, dining, shopping, festivals, adventures and more. The capital city of London is thriving in delights. Visit royal castles, royal manors, medieval cathedrals and prehistoric stones. Discover innovative art and cultural scenes. Check out the quintessential delights like the Georgian town of Bath, academic Oxford, and eccentric Brighton. The English countryside is equally blissful to explore in this month. Festivals, gastronomy and shopping add to the appeal of holidays here. 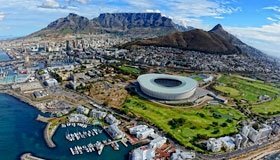 Visiting South Africa in July is fantastic value for your money. As July is known to be an off-season, it is the ideal time to give a miss to tourist crowds, along with a chance to explore the best. As the month is winter for the country, the weather is pleasant. Explore rich heritage, cultures, political past, beautiful beaches, and many outdoor adventures. 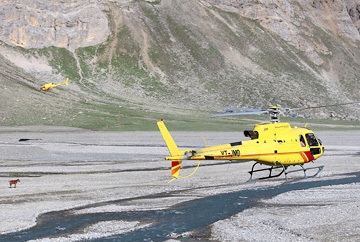 Wildlife safari is one of the best experiences of your visit. Spot lions in their natural habitat. Whales also make way to Cape Town shores where you can easily catch a view. Enjoy the local gastronomy, visit the markets, and do explore the nightlife. 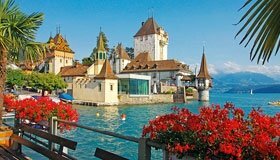 Switzerland is one of the favorite holiday destinations in the world. Blessed with incredible weather come July, the picturesque country in Europe receives guests from all over the world. The fairytale destination offers a myriad of charms. From the snow-clad mountains of Geneva to Ticino which boasts of warm Mediterranean-like weather, there is so much scenic bliss that you are spoilt with choices. From art to food to outdoor adventures, there is a lot to enjoy. 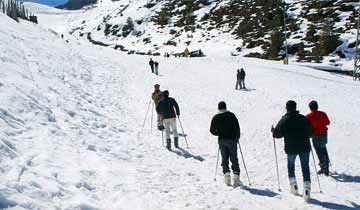 Go trekking in the hills, taste the mouthwatering delicacies and do visit one of the typical Swiss villages. Vacation in Switzerland in July is truly an unforgettable experience.